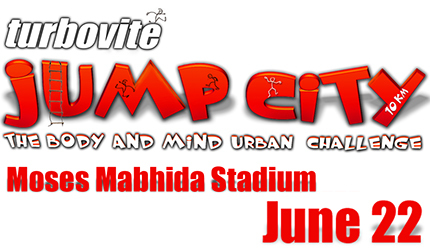 Break out and conquer your city as the Turbovite Jump City returns to Durban for the third time on 22 June 2013. 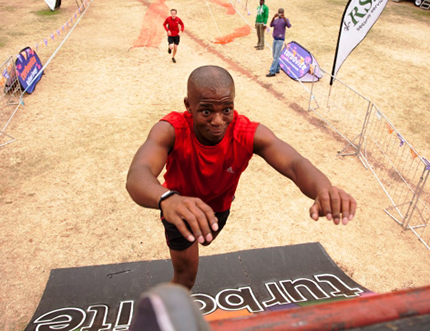 This edition of the 10km urban challenge promises to be tougher, to be higher and more challenging than ever before with four new obstacles being added to the lot. 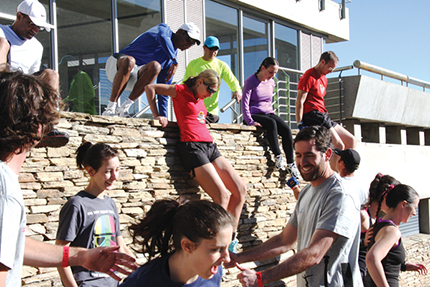 The 2013 day event will take place at the Moses Mabhida Stadium, our playground and your adventure. The route will send you over, through, under and into parts of your city that you have never experienced. This is a world first and the only series of races that takes you to such extremes. Nothing is off limits and the brightest minds in the game are busy putting together a route that will feature the best parts of your city. All obstacles are designed and inspired by the city to give you an unparalleled experience, requiring athletes to climb, crawl, jump, carry, hurdle and slide-to name a few! 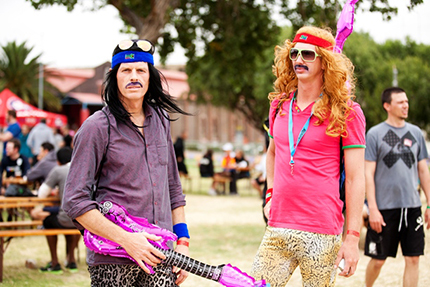 What’s so great about this race is that you can enter it as an individual, or as a team of two with loads of fun in the interim. 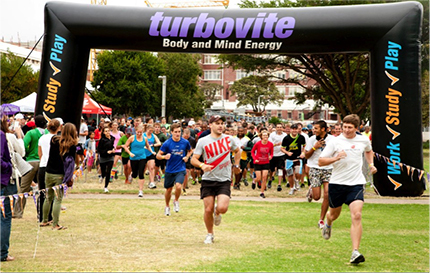 There will be up to R 5 000 in prizes for the winners and the Turbovite team will be hosting lucky draws to all entrants as well as plenty of spot prizes to best dressed and best team names-so get creative! What’s happening after the race? There will be a food and drinks area for athletes to take in the city and swap war stories after the race as well as giveaways and plenty of freebies at the venue. To enter visit their Website and click the gold “Enter Now” button.